Recommended, a new service which connects the research community with the most relevant content is launched by Springer Nature today. The service has been developed in response to the extensive and rapid increase in published research which makes it difficult for researchers to keep up to date with developments in their specific fields. It is the first such service from a publisher, in which specific recommendations from across all published literature are generated by algorithm. Recommended makes suggestions of primary research papers which are drawn from over 65 million papers, are chosen irrespective of publisher, and are algorithmically tailored to the individual researchers’ interests. 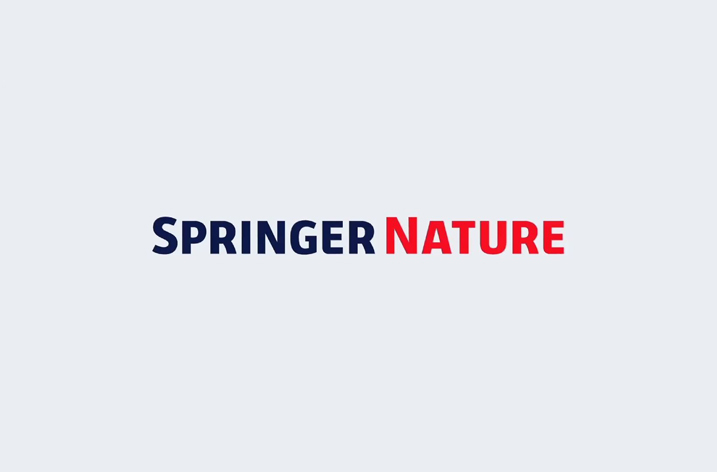 The creation of this service by Springer Nature is in keeping with its work as a proactive partner to the research community and an industry pioneer, developing products and services that researchers most need to advance discovery. An initial survey sent to 4,000 nature.com users was undertaken in 2015 to understand the challenges users face as researchers and to identify ways in which Springer Nature could support them. The survey confirmed the challenge associated with a previously identified trend: a rapidly increasing volume of research is being published and researchers are struggling to find the time to identify the most relevant papers. Research published in 2014 found that the total number of articles has been growing at an average 6.3% p.a., from 1.3 million in 2003 to 2.4 million in 2013. The nature.com survey found that 85% of researchers felt that they were probably missing relevant papers in their field in a typical month and a quarter of respondents said that most weeks they do not feel up to date. Following this survey and additional focus groups and individual interviews with international researchers, Springer Nature developed Recommended to support researchers in managing this challenge. Recommended is a personalised service that suggests relevant primary research papers to users, either in their browsers when they are on Springer Nature publishing websites (Nature, BioMed Central and SpringerLink), or in regular emails. Powered by an adaptive algorithm, Recommended learns about users’ individual research interests by analysing the last 100 papers read across Springer Nature’s publishing websites. Recommended then searches for similar primary papers to the users’ reading history, utilising over 65million papers from over 45,000 journals in Crossref and PubMed. These are then combined with data from other sources, such as Altmetric, to create a recommendation score which our service uses to pick the top, most relevant, primary research papers recommendations to deliver to users. Recommended continually learns and improves based on how the users interact with its suggestions. Dr Greaves added: “We’ve been trialling Recommended in beta form for almost a year and we’re confident that we’ve started to develop a product that offers genuine value to the research community. So far users from over 200 countries have accessed the recommendations, of whom over 70% are return visitors – the University of Cambridge is the institution with the highest number of users and our top recommendations focus on CRISPR technology. Alternatively, look out for the messages that will appear either on the bottom right hand side of the screen or within the full-text of primary papers when visiting any of the Springer Nature publishing sites, which will provide recommendations.